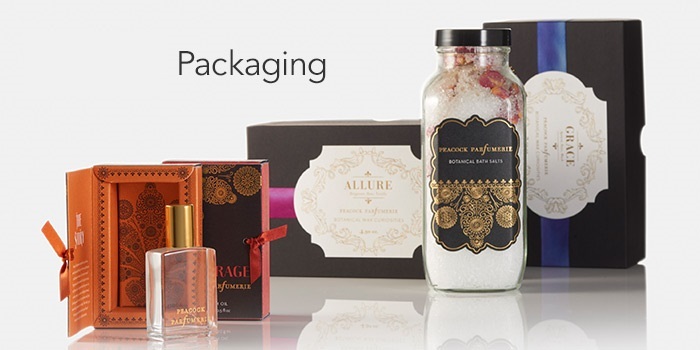 There are different companies who are producing excellent and exciting designs of packaging. The most embellishing and classy packages get more attraction an are considered as award-winning. There are so many companies who are giving the most iconic and innovative packaging designs. The packaging designed rightly for the specific product can serve best. Good packaging is always liked by many of the customers and also gives more sales revenue. These all packages can give more demand and recognition to your brand. Brilliant designs of packages can make your product a successful brand. There are some of the packages that can keep your product safe and make it presentable. Here we are going to discuss all the packaging solutions that are most exciting and award-winning in 2018. In this 2018 year, green packaging is getting more popularity. As the consumers are getting aware of the safety and protection of this planet. Most of the consumers demand green packages these days. These are more efficient as these can keep the products as well as the environment safe from damage. The most preferred and recyclable packages are gaining more attention. These can be made in different shapes and designs, which are getting awards this year. This is just because of its popularity and versatility. These are specifically designed tea bags in the shape of goldfish. These look more stylish and captivating while placed in a cup of tea. These give more customized and stunning appearance. These are being most liked and sold packages in the market. You can have them for having more compelling and enticing look. This is the egg packaging which is designed in a highly customized way. It contains a hen printed on it who is also laying an egg. Its name just laid is also printed on the packaging, which indicates that the eggs are laid just now. This packaging indicates that you are getting the fresh eggs. It has both primary and secondary packaging available which carries honey in it. The jar is made in which honey is poured which is airtight by applying a lid on the jar. It has astonishing white and golden color, which gives more glossy and shiny look. The jar is covered with the cloth or paper material by applying a golden ribbon on it. This jar is also printed with logo and another statement in golden color, which looks more stunning and appealing. It is then covered with cardboard box printed with the same log and statement in a similar color. The outer covering also has the same color, which is white and golden. This design attracts more of the people and is specifically designed for people who are trend conscious. This is the packaging design, which is more convenient and can also give a more astounding look. These tea bags contain hangers with them, which can be easily used. You can simply attach it with the cup with the help of hanger and keep the tea bag in the cup. This is liked by so many people around the world and is getting sold more in the market. Oven cupcakes are the most embellishing and attention-grabbing packages. These are specifically designed packages for cupcakes. This packaging is designed in the shape of the oven, which expresses that consumers are getting fresh cupcakes. These packages also add up more charm and catchy looks to the cupcakes. Cupcake is delicious food item and it gets more delicious when is packaged in beautiful packaging. These also can be made in different colors and highly customized according to the specific event. This is the juice packaging which is most liked by so many consumers all over the world. In these packages, fruit juices are poured and the outer covering is designed just like the fruit. Like if the strawberry juice is available in the package then its covering will be just like the strawberry cover. Just like this other fruit, juices are packaged in them and are made just like the respective fruit is covering. These customized packages look more stunning and superb. This is the packaging designed for waterproof wrist watches. It seems like the watch is placed inside the package in the water. This indicates that the watch is completely reliable as a waterproof as it is placed in water. This packaging enhances the trust of customers on the product. This results in enhanced sales revenue of your business making this package the most popular and loved package. This is the first ever water bottle that is made by using the paper material. This is the safer and hygienic water-carrying bottle as the paper material is highly organic. This is the eco-friendly alternative of plastic water bottles. As plastic water bottles cause damage to the environment when are recycled. Therefore, this paper water bottle is the best as it can be reused and do not cause any sort of pollution in the environment. This bottle is made by pulp shell composed of plant-based fibers like bagasse and bulrush. The entire package ranging from the paper material to printing is biodegradable. This is the piano-shaped packaging to pack cake in it. This is basically designed to send as a gift to your loved ones. Everyone likes to carry that cute little piano and to give it to the host. This will surely look stand out among all other gifts in the party. You can get them in different sizes as the piano is made in different sizes so that customer can get their desired package. These are not joined in the start but can be compiled with the help of glue while packing cake in it. Clients can get these designed by having different keyboard pattern according to their taste. You can easily personalize the look of cake packaging.